From A.D. 300 until 900, a brilliant culture flourished in the Yucatán Peninsula of Mexico – the Classic Maya. Accompanying us on our tour of some of their most splendid sites will be Cornell University’s Dr. John Henderson, one of the nation’s leading scholars of the Maya. Join us in Mérida, Mexico for a welcoming reception. We’ll spend two evenings in the old city. We’ll tour Dzibilchaltún, which has been occupied since 650 B.C. The Temple of the Seven Dolls is a unique Maya structure. In the afternoon, we’ll explore Mérida, a delightful colonial city. We will explore Balankanche Cave where in 1959 a room with a massive tree-like stalagmite with splendid offerings of pottery and jewelry was discovered. The impressive ruin of Ek Balam is surrounded by a double wall, and massive structures with stucco reliefs surround the plaza. 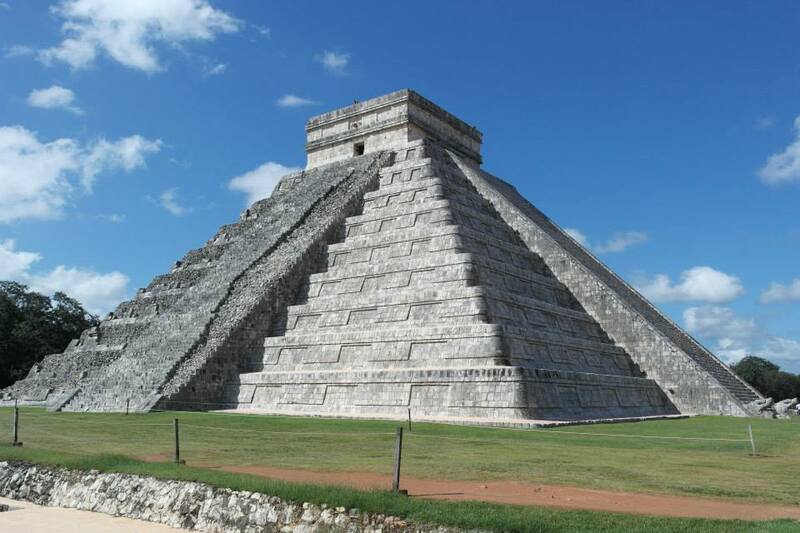 We’ll spend two nights at Chichén Itzá. 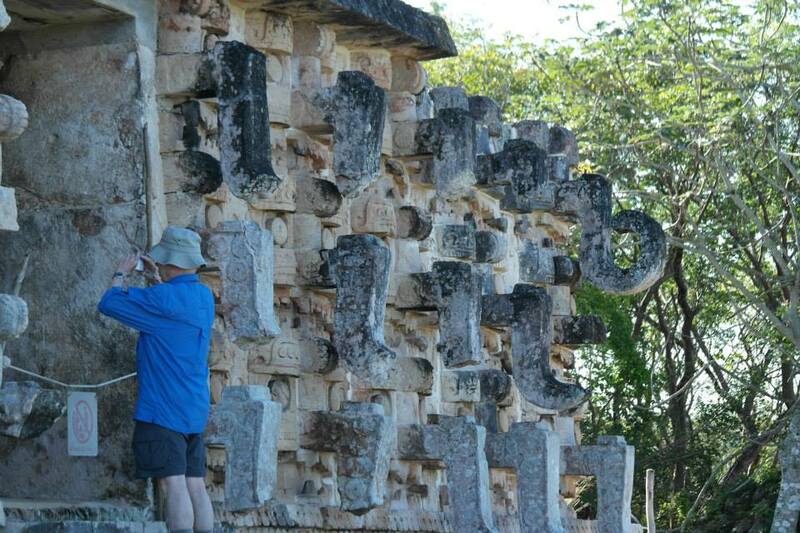 We’ll tour the spectacular ruins at Chichén Itzá, a city founded in the fifth century. 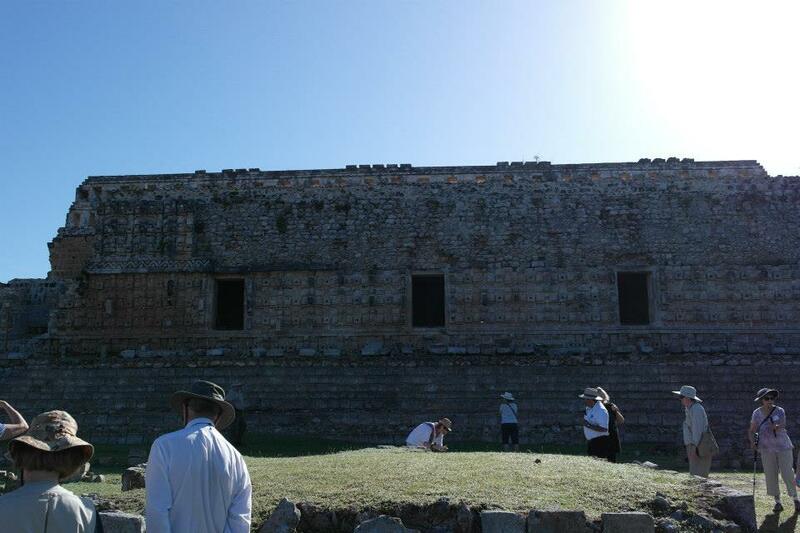 We’ll tour its Great Ball Court and El Caracol, an ancient astronomical observatory. We’ll also see the Sacred Cenote, a natural well where the Maya made human sacrifices. Mayapán, the last great city of the Maya, was surrounded by a five-mile wall. It dominated the northern Yucatán from about A.D. 1250 until its destruction in a revolt in 1440. Labná is noted for its elegant 20-foot arch and long-nosed masks. We’ll spend two evenings next to Uxmal. 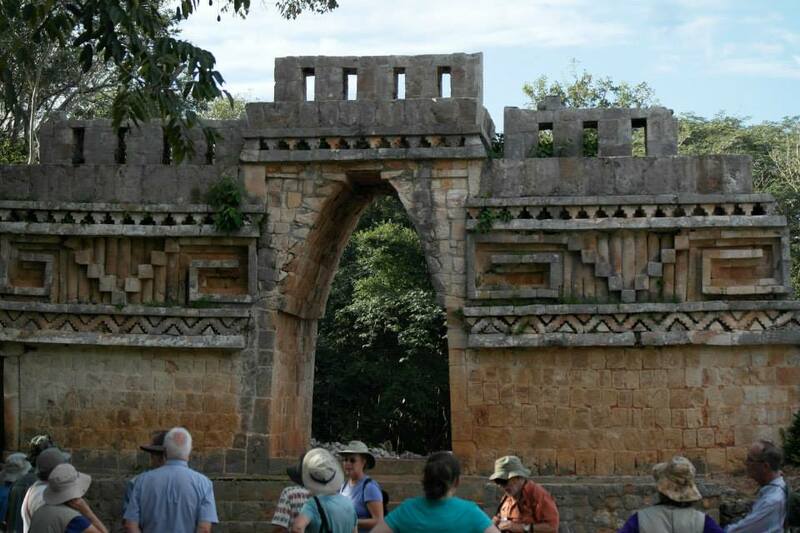 Uxmal, founded in the sixth century B.C., was one of the largest Maya cities. We’ll visit the Pyramid of the Magician, constructed in at least five phases, and see the spectacular Nunnery Quadrangle with its feathered serpents. We’ll also see Kabah. We’ll visit the splendid site of Edzna that is dominated by the Great Acropolis and the Temple of the Five Stories that soars above the city. Hochob is noted for its monster doorways. We’ll spend the next three evenings at Xpuhil. Kohunlich is best known for its Pyramid of the Masks, which contains some of the finest Maya sculpture. We’ll also visit Xpuhil, a fine example of the Río Bec style of architecture with its faux temples, and Becán with its enclosing moat. 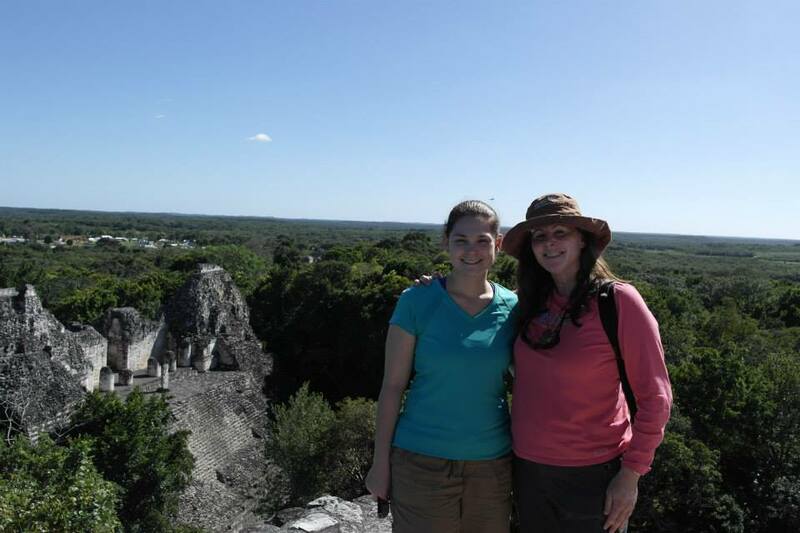 We will drive deep into the forest to visit Calakmul which has been undergoing significant excavations in recent years. Calakmul is believed to be the largest of all the Maya cities, with more than 100 stelae and 6,500 structures have been discovered so far. During the Late Classic it dominated the entire southern Yucatán. 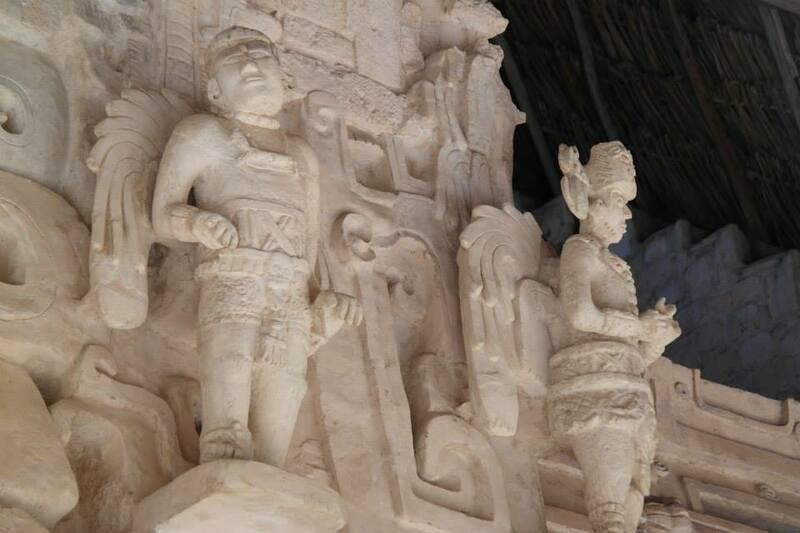 Chicanná, with its monster-mouth doorways, is one of the most photogenic sites in the Yucatán. Balamku is known for its bas relief stucco facade with remains of red, black, and yellow paint. We then return to Mérida. Not included are meals other than those specified and travel to and from Mérida. NOTE: The weather should be warm and dry in February. A modest amount of walking is required. Ruins have rubble, undeveloped trails, and steep stone stairs. Climbing these stairs is necessary in order to see some of the ruins.